How to share/tether VPN internet connection from mobile (Android/iOS) to other devices like your PC, is what will will be discussing in this article. With the explosion of ‘Unlimited’ 3/4G plans available from Nigeria internet providers, cord-cutting (and saving money) is hugely popular, and people are sick of paying for 2 separate data connections. Virtual Private Network tools like Tweakware VPN, Your-Freedom, Simple Android Server, OpenVPN, Psiphon Handler, DroidVPN, UCMini Browser handler, etc. are among the VPNs we use in this part for FREE browsing that can be shared/tethered via WiFi Hotspot or USB with another Android Device or PC. This is where Pdanet Android/iOS app comes in. PdaNet+has been the best tethering software for Android 2.2 and up, Windows Mobile, iOS, and Palm OS phones. The latest version turns your mobile device into a true WiFi HotSpot so that you can connect from your computer (MAC or PC) or iPads. This allows your laptop to go online wirelessly through the 2G/3G/4G network on the mobile device. It also supports USB tethering for both Mac and Windows users. PdaNet provides the fastest connection speed possible from your data service and data signal. PdaNet+ works on all Android phones without rooting. For iOS phones, PdaNet is not available through App Store. You will need to jailbreak your iPhone (see instructions) first and install it through Cydia. PdaNet+ supports connection using WiFi, USB Tether or Bluetooth DUN. There is no speed limit in PdaNet+ as it removes all it is removes tethering limitations on your Android or iOS device. In USB mode it is capable of handling download speed of well above 35Mbps (35000kbps). There are three (3) ways to use the Pdanet+ to share/tether internet connection to PC and other devices. 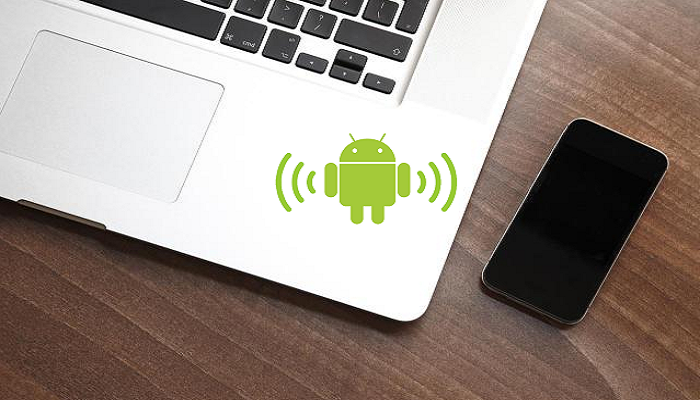 In the article, we shall focus on Pdanet USB and WiFi tethering on Android. Download and install premium version PDANet+ for your Android device from here. Ensure your Hotspot is switched off. Ensure USB debugging is enabled on your Android (from the “Developer Options”). Install the PDANet+ for PC (if not already installed) and confirm that it is connected to the phone. Open the PDANet+ menu from the notification bar of your Windows and click on “Connect Internet (USB)”. It will verify and authenticate your connection automatically and you will be connected via USB. If you don’t want to use USB cable tethering you can connect your pdanet+ via WiFi Hotspot. Ensure you are using the premium version otherwise, you can get the FoxFi key to activate Pdanet+ premium. Connect Pdanet and enjoy free WiFi tethering from your mobile device.